Set along the shores of beautiful Bringle Lake, the Texarkana Golf Ranch is one of the best new courses in the state, and some say the nation. With its thick forests, lush fairways, and significant elevation changes, this pristine course offers a peaceful golf experience for unbelievably affordable prices. 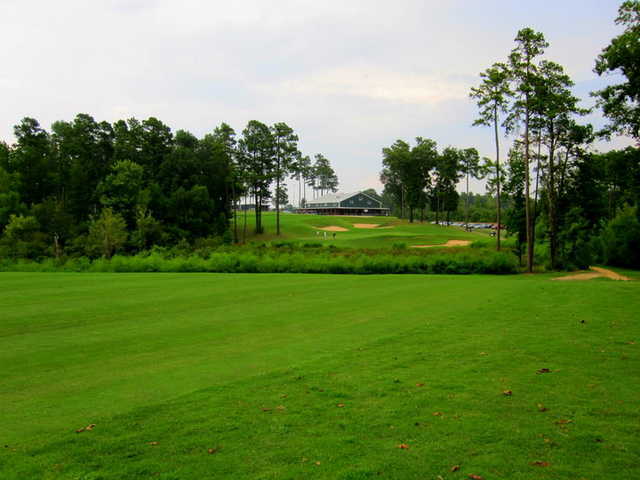 Since the course was carved out of the natural East Texas terrain, they didn’t have to move much dirt–the low construction costs are passed on to the golfing public. The design spreads out over 300-plus acres that could have easily supported the development of 36 holes. Instead there are only 18 holes, most of which are not adjacent; this means that you’ll typically never see another group on the course. The beauty here is unparalleled; every hole appears to be the signature hole. On the front Nos. 4 and 8 stand out a bit more than the others. No. 4 is the only hole where Bringle Lake is not visible, but because it features over 50 feet of elevation change over its 472 yards, it’s one of the most spectacular holes. No. 8 is almost comical, playing a devilish 666 yards from the tee–it’s a double dogleg that requires two perfect shots to be in position to reach the green in regulation. Wayward approaches carom off the slopes beside the green, and ups and downs are not guaranteed. The three finishing holes leave you drooling for more. No. 16 is over 500 yards and requires a tee shot over a lake into a tight landing area. The second shot is a lay-up into a sloping fairway. It can be impossible to get it close with the short approach because the green is perhaps the most undulating on the course. The beautiful No. 17 plays 214 yards on a long plateau beside the lake, and the spectacular ender plays 425 yards through the tall pines. It’s tough to get the tee shot in the fairway because of the numerous bunkers, and especially because of the funky green. 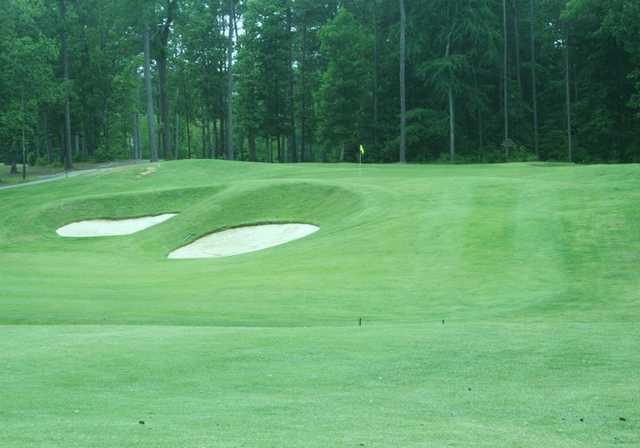 Surrounded by bunkers, this strange green is often a sure three-putt because the front slopes left to right, while the back does just the opposite. Getting there : Take the Richmond Rd. exit north off of I-30, then turn right on Scott Wright Rd. I play this course regularly. Course is kinda tough for me, I'm a Senior, so the various tee's help.You will never play anywhere that has friendlier Staff. When you come to this course, "every Staff you see welcomes you". Hunter is the course Manager, & he is extremely courteous, friendly, and will go out of his way to make sure you enjoy your visit! I was very pleased with my first round at this picturesque course. Accuracy is a must and carry distance is critical on several holes. My power fade was perfect for his course. You get multiple side hill lies so be prepared. Fairways were tight, but greens were true. I would play again. TGR is probably my favorite public golf course in the 4states area. The layout is tremendous and the tee selection helps accommodate all levels of golfers. This course would easil cost you 150+ in Dallas or Houston. Best value around period.....Also recommend stopping at Ironwood grill before or after your round. Just down the street. The Golf Ranch always delivers. Best public course I have ever played. The staff was great and the golf course was even better. If I lived in Texarkana I would definitely be a member here. Make sure to have your "A" game as it is very challenging but fair at the same time. This course has everything!!! Incredible greens, thick fairways, healthy rough and a very friendly staff. I've never seen a better deal than this course. Can't believe it us under $50 to play. 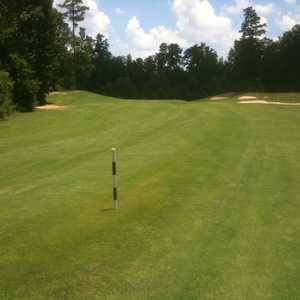 I can't wait to come back to Texarkana and play the golf ranch again. 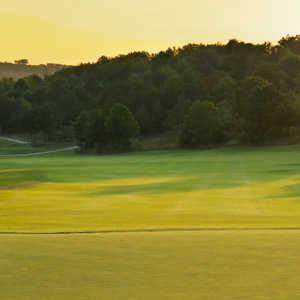 The Ranch is equipped to satisfy every level of player, from its picturesque greens to the stair step tees that challenge you to the limits of your game. 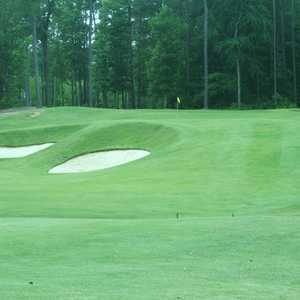 The course is very well kept & you'll never meet nicer people than the Texarkana area. This place is so beautiful you may want to spend the day, bring the wife & kids and try fishing Bringle Lake while your here! What a great golf course for the money to play this course it is a steal. Drove 190 miles to play this course after hearing about it through some friends. They understated its scenic beauty as this is on of the best scenic golf courses I have ever played. They did not understate its difficlty. While this course plays very long from the tips, it accomodates the weekend warrior with 4 tee positions. If you struggle hitting fairways you can lose a dozen balls on each side. Staff seemed very pleasant. Only reason I did not give this course a 5 star rating is due to a few fairways having an abundance of un filled divots. Will definately play again very soon. 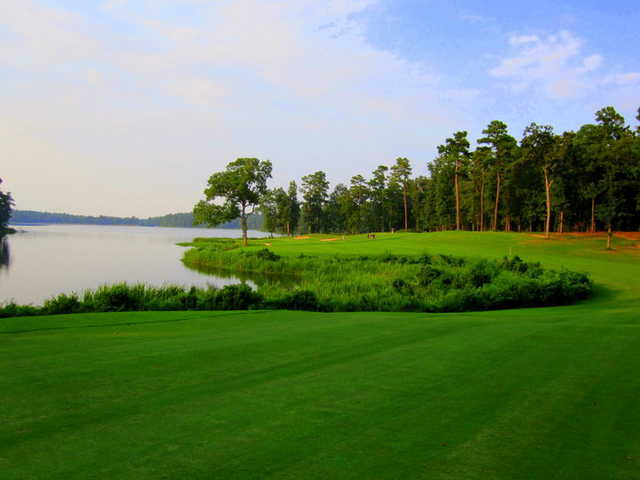 Hank Haney has crafted a gem in East Texas. From the tips, this course is all you can handle. 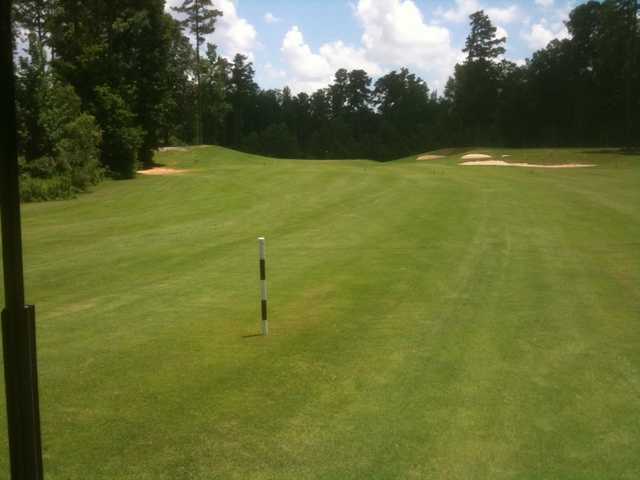 A beautiful course on Bringle lake, Texarkana Golf Ranch turns a golf outing into an opportunity to commune with nature, particularly if the golf gods are not in your favor. Beautiful lake, elevation changes, long holes, water challenges -- this course has it all! Green fees are quite reasonable for what you get, about $45 w/cart on the weekend.